This summer the U.S. Department of Transportation’s Federal Motor Carrier Safety Administration (FMCSA) announced a pilot program that would allow carriers to have non-preventable crashes removed from their record. The two-year program would test the implementation of a “crash accountability” protocol into the Compliance, Safety, Accountability (CSA) carrier safety rating program. The test program would allow carriers to contest crashes that have been recorded and counted against them in the CSA. Under the current system, all accidents, regardless of who may have been at fault, are recorded against the carrier. Most in the trucking industry agree that this is a major flaw in the CSA’s crash indicator BASIC percentile calculations that are used to predict a carrier’s risk. While previous crashes are a good indication of future crashes and risk, stakeholders agree that they don’t tell the full story and that accident accountability needs to assessed and made public. Many 3PL companies vet carriers and owner-operators and may refuse to work on companies based on publicly available information. 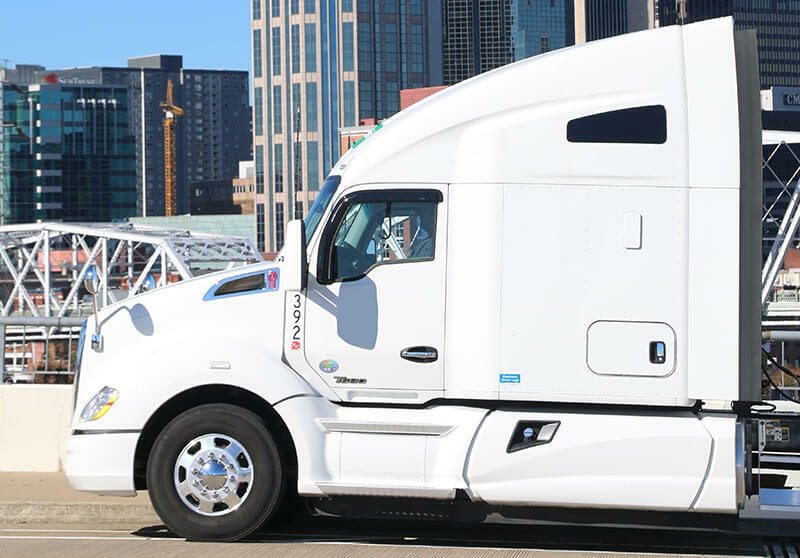 The business and economic ramifications of the program could be significant for carriers and for trucking owner-operators.. If a crash is deemed “non-preventable” it would be removed from their record. In other words, if an accident was in no way the carrier’s or the owner-operator’s fault — for example, if a truck was rear-ended by a vehicle whose driver was too busy texting to pay attention to the tractor-trailer in front of them — then the carrier would not be penalized for the other driver’s error. The program addresses a very major concern that carriers and owner-operators held against the CSA, specifically, crash accountability. Although the program’s start date has yet to be announced, this is great news for the trucking industry. “ATA hopes this demonstration project is a step toward a more robust and complete system for carriers to dispute and ultimately strike crashes that were not the fault of the commercial driver,” said American Trucking Associations’ Bill Graves, an adviser to the federation and formerly its president. “By improving crash accountability and data, FMCSA can improve the performance and accuracy of the CSA monitoring system — a goal ATA wholeheartedly supports” (Transport Topics, American Trucking Associations). The agency may also allow reviews of crashes in which the bus or truck struck an animal, if a motorist who struck the commercial vehicle was speeding or attempting to commit suicide. Only accidents that occur during the two-year pilot program will be eligible. Accidents that happened prior to the pilot program’s start date are not eligible for review. Data collected during the program will be used to make recommendations to the agency about permanently changing the CSA’s methodology. To learn more about the FMCSA or to join our team of safe and reliable truck drivers, contact M&W Logistics Group today.